Further to our review of the new Team Durango DEX410 buggy we brought to you last week, here’s an insight into the history of one of the most innovative electric buggies to date. Those of you who have a certain interest in the 1/10 electric off-road class will of course know the names ‘Durango’ and ‘Gerd Strenge’ for some time now. 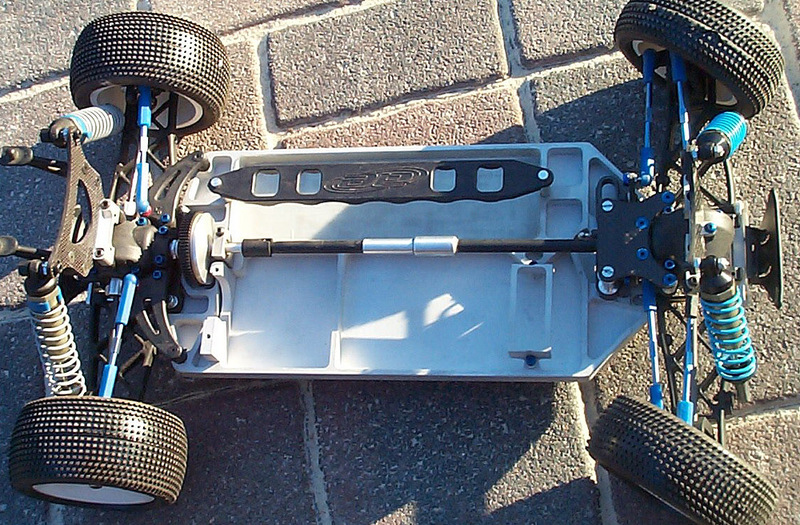 Since the end of the 1990’s Gerd is designing and manufacturing electric, and nowadays nitro, off-road buggies. His first and probably most successful buggy was the ‘Durango’, a 1/10 scale 4WD buggy. Rumours have it that many companies wanted to produce Gerd’s Durango in the past decade but it never really happened until in 2007 when on-road specialists Serpent brought the whole concept to (nearly) unleash a production version of this spectacular buggy. But unfortunately the worldwide financial crisis saw Serpent withdraw the then renamed S500 buggy, leaving Gerd to look into other possibilities to let the Durango buggy stay alive. The idea of designing the ultimate 1/10 scale 4WD buggy went back to the year 1999 when Gerd got his hands on a Team Associated TC3 touring car. 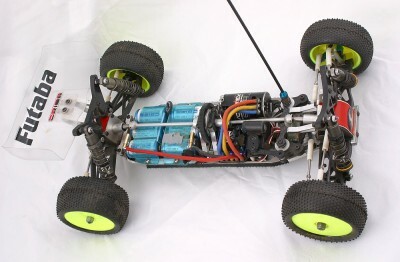 The car was blessed with one of the most efficient drive trains of that time as well as separated differential cases both front and rear making it easy to extract the shaft-driven drive train from the chassis and transfer it onto a scratch-build Durango 4WD buggy chassis. Other ideas of the TC3 car made it into the newly designed off-road chassis like the dogbone-style drive shaft between the two differential cases, that made a big difference to the ‘solid’ design of other shaft driven buggies like Tenth Technology’s Predator buggy for example. The result was less tension on the drive gears resulting in less maintenance and more efficiency. Gerd also adapted the slipper clutch from an Associated B3 buggy as well as the ‘rail like’ steering from the TC3 touring car. Unfortunately no pics are available from this very first Durango prototype with its alloy chassis plates and water-cut wishbones. Shortly after the first Durango buggy saw the light of the day Gerd was working on some modifications to make the buggy faster and more reliable. This also was the hour of birth for the most obvious design feature of all Durango buggies to come: the machined alloy chassis plate. To ensure a swift and inexpensive supply with spare parts Gerd opted to use as many readily available production parts on the car as possible, like Schumacher CAT wishbones for example. With the so called Durango 2000 a small team consisting of Gerd, Lena Schlepple, Moritz Gaul and Patrick ‘JoPo’ Feschtschenko attended the first race meetings. 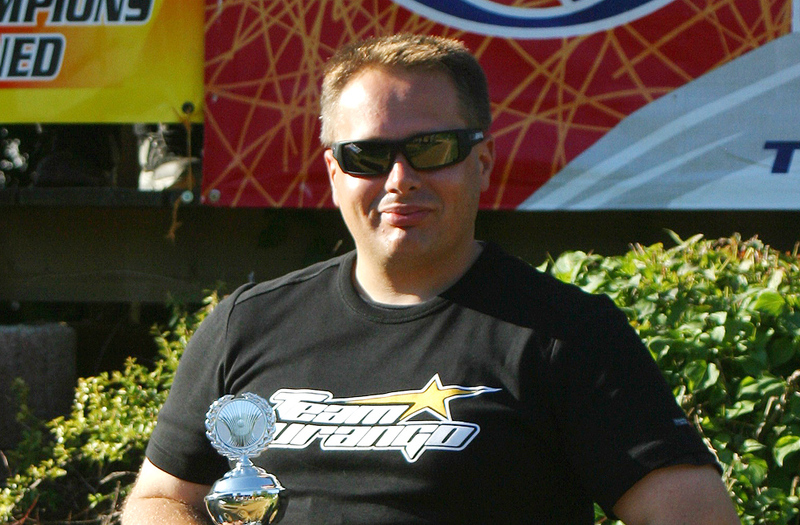 The first race victory fell into the hands of Eberhard ‘Ebi’ Beck at the 2000 German Nationals in Langenfeld where Ebi won in front of upcoming shooting star Jörn Neumann. Excited by the success and with the annual Reedy Truck Race of Champions in the very near future Gerd decided to take the buggy to the USA to present it to an even larger audience. Both, Gerd and his Durango, left a very good impression and because of this he was able to get Billy Easton and Mark Pavidis to test the buggy before the 2001 event. 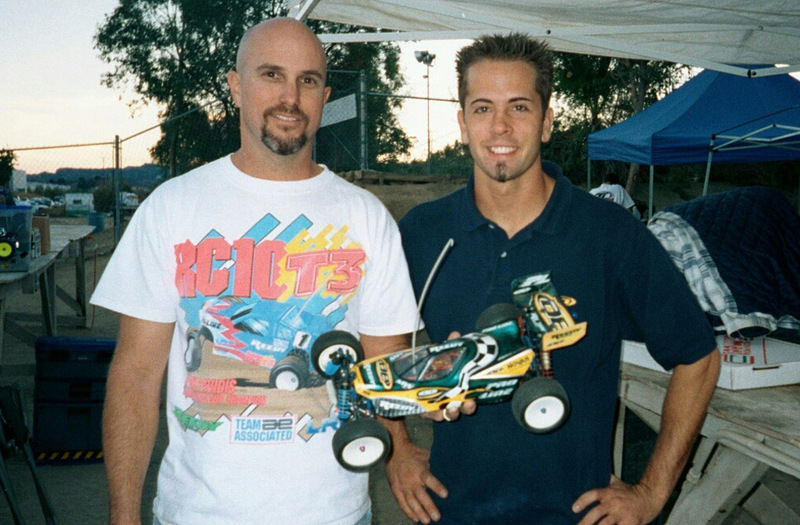 This left Billy and Mark even more impressed and therefore both decided to use the buggy at the 2002 World Championship in South Africa. 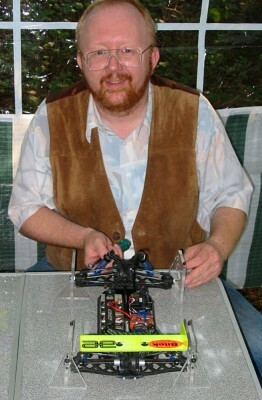 At the end of the day only Mark made it into the A-final of the most prestigious RC Car event but once more the performance of this unique car was proven in an important race. Also in 2002 a certain Craig Drescher took 3rd place at the European Championships. 2003 was a very important year for Durango as Team Associated agreed a deal that let Gerd supply six Associated factory drivers with Durango cars despite a running Yokomo deal by the US based company. At the end four of the six made it into the A-final. The following US 2WD Nationals saw the team shrinking a bit, as at that time 2WD and Truck were the main classes in the US, letting only Billy Easton enter the 4WD A-final as most of the other drivers concentrated in the 2WD classes. 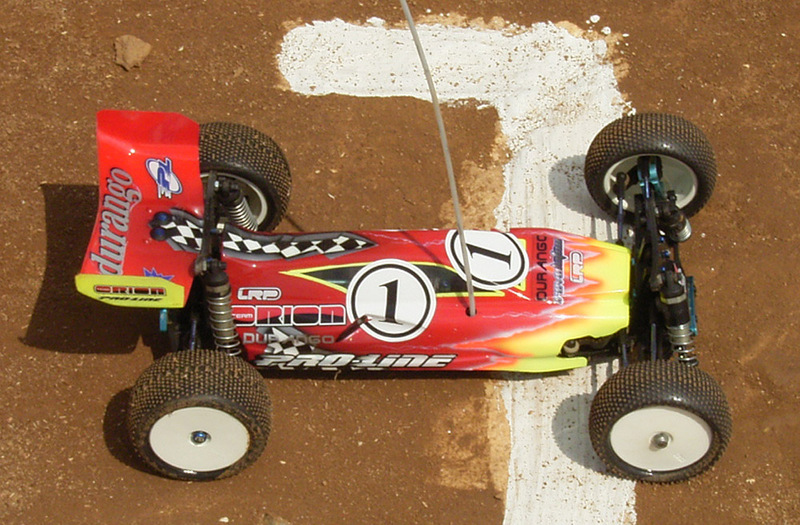 For the 2003 World Championships Associated withdreew from the Durango deal in favour of the contract with Yokomo leaving a sad Gerd in the dust. Another fact that gave Gerd a hard time was that his 2003 Durango was around two to three tenth of a second faster than the previous car but none of the fast US drivers was allowed to use the buggy that, for the first time, was equipped with the now legendary ‘slim’ chassis and 90 degrees turned saddle-pack batteries in the back of the car. 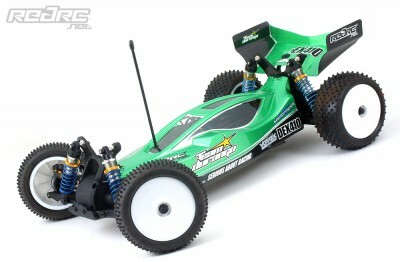 This is a design the new Team Durango DEX410 utilised with great success. Given the negative years end Gerd wanted to dump the whole project but a new start with shooting star Jörn Neumann gave him more confidence in the future that he now saw mainly in Europe. Gerd’s efforts to build up Jörn where rewarded at the 2004 warm-up for the European Championships as Neumann took 4th place behind some very fast drivers. This was even topped by the young German when he took his first European title at the EC a couple of weeks later. In 2005 the team was extended by Austria’s Peter Pinisch and German Marc Rheinard. 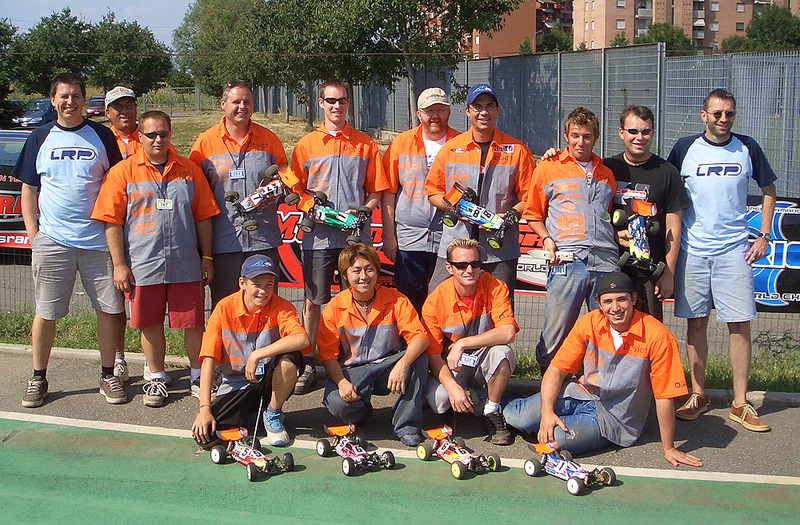 For the 2005 World Championships in Italy Gerd managed to expand the team even more with the likes of Germany’s Benjamin Gröschel, Team Orion’s Joe Pillars from the USA and Atsushi Hara from Japan. With Peter Pinisch on five and Atsushi Hara on ten only two Durango drivers made it into the A-final on the challenging Italian track. For the 2006 European championships more changes took place. Peter Pinisch switched to JConcepts but allround nice guy and off-road wonder weapon Hupo Hönigl came into the team. 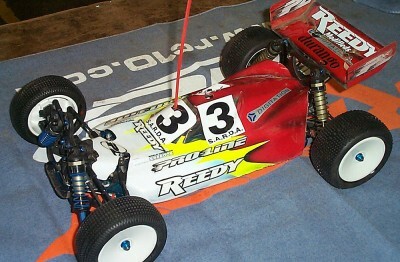 Despite winning the 2WD class Hupo only was able to get the 3rd spot in 4WD as he was beaten by UK’s Lee Martin. 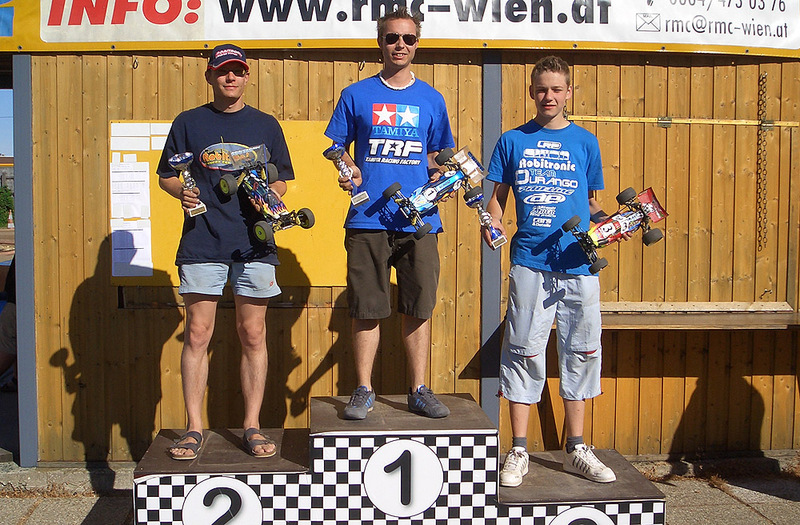 The list of race victories is nearly endless making the multiple national titles in Germany by Ebi Beck and Jörn Neumann as well as the European title only a fraction of them. At the end of 2008 the brand ‘Team Durango’ was formed making the now DEX410 called buggy available for everyone since the September 2009. Speaking with Gerd and the other guys at Team Durango a lot more stuff is planned for the future and given the design of the already existing buggy this for sure will be an exciting future!